Biographical film about Steve Jobs, titled simply "Jobs" will premiere on the 16th August. This was posted on the official Facebook page of the film, where the official trailer for this movie was firstly announced yesterday. In less than 24 hours on YouTube, this two-minute trailer of the film was viewed in well over a million times, which speaks enough about the potential success that the movie could ultimately have. 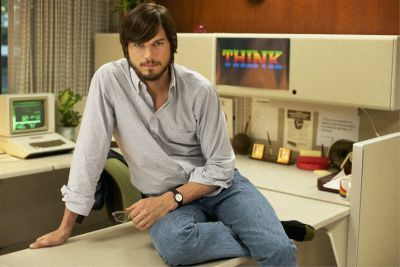 The character of Steve Jobs in the film is interpreted by Ashton Kutcher. Quite logical choice, we would say, not only because of the obvious physical resemblance to the legendary founder of Apple, but also because of above average general technological literacy and engagement in the digital sphere by which this actor is widely known, and therefore close to that worldview which was enthusiastically promoted by the Jobs himself. Movie is directed by Joshua Michael Stern, and in other roles we will see Dermot Mulroney, Josh Gad, Lukas Haas, JK Simmons, Matthew Modine and others.